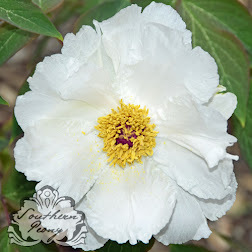 Herbaceous Peonies should be planted similar to Intersectional Peonies, taking care to make sure the root is facing the proper direction. 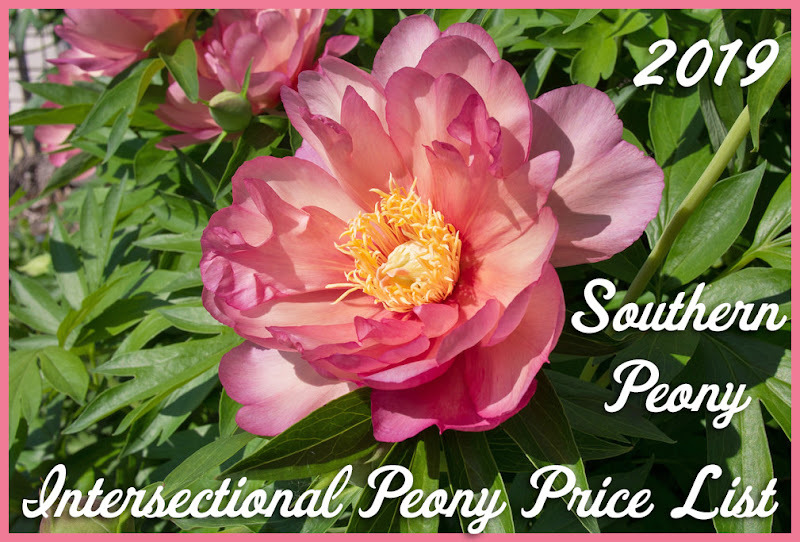 This is very important for intersectional peonies as well and even more so with tree peonies. 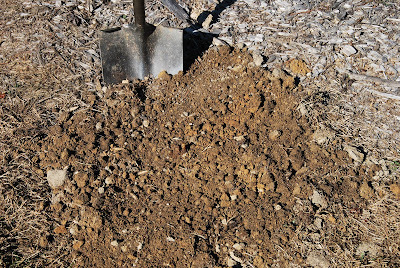 The first step and perhaps the most important step in planting a peony is preparing the soil. I usually dig at least a 3 foot round hole for each root, spading the soil with my shovel to make sure the dirt is nice and loose. After the hole is dug and the soil has been loosened, I add some organic fertilizer and lime (dolomitic limestone) to the soil in the hole and mix it in. 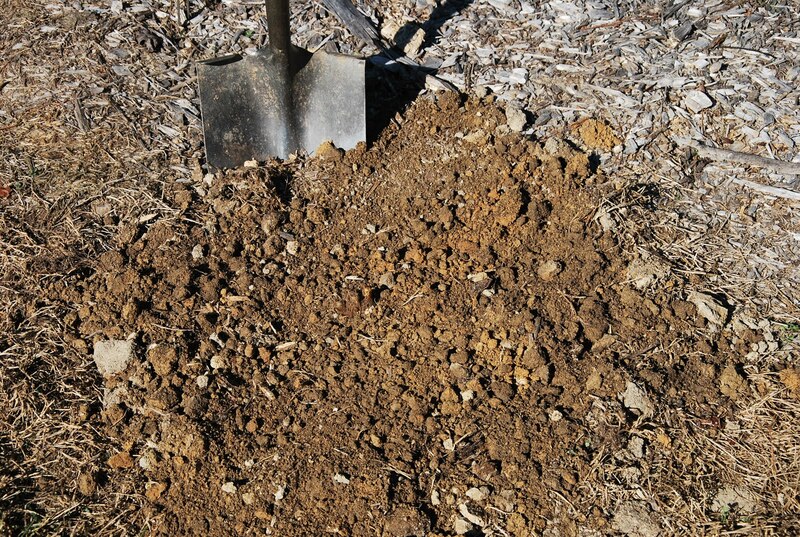 The fertilizer is used to add nutrients to the soil and the lime is used to adjust the PH of the soil. In my area, most soils are acidic, and peonies prefer a more neutral to very slightly acidic soil, around a PH of 6.0 to 7.0. Next take a look at the peony root and make a smaller hole in the middle of your 3 foot round hole that will accommodate the size of the peony root. Herbaceous peonies stems die back to the ground each year. So there is not woody or semi-woody stem on the root. 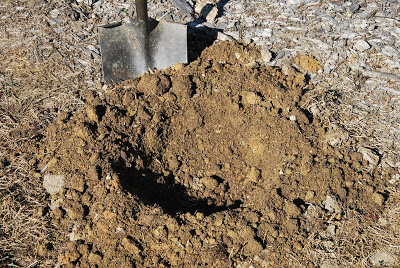 The herbaceous peony roots are usually a large storage root with perhaps smaller side roots and pink buds on the crown. The pink buds are where the new shoots and foliage will begin to emerge. 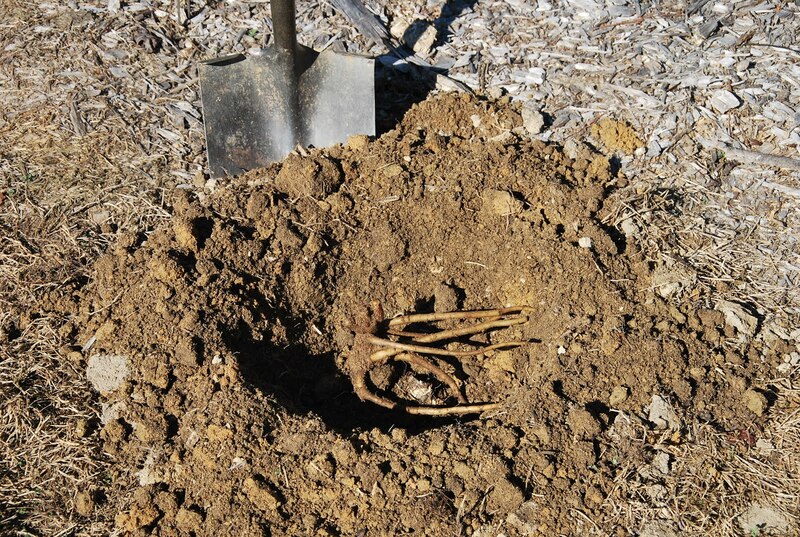 Make sure to put the roots into the soil and try to put the buds pointing up towards the sky. In my southern climate the pink buds of the crown can be planted even with the soil, so that the roots are below the soil and the pink buds are slightly above, even, or just barely under the soil. 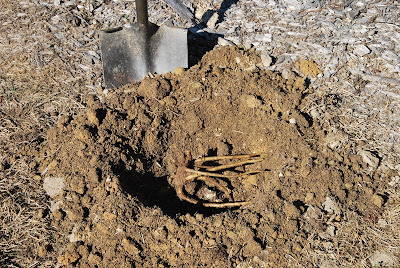 Once the peony root has been planted, I cover the planting hole with a 1-2 inch layer of mulch, taking care to put only a small 1/2 inch layer of much over the crown itself. I may even leave it so the pink buds are barely visible or just below the mulch. You don't want to put too much mulch on herbaceous peonies in this climate. Otherwise the roots may not get enough chilling hours needed for blooming. 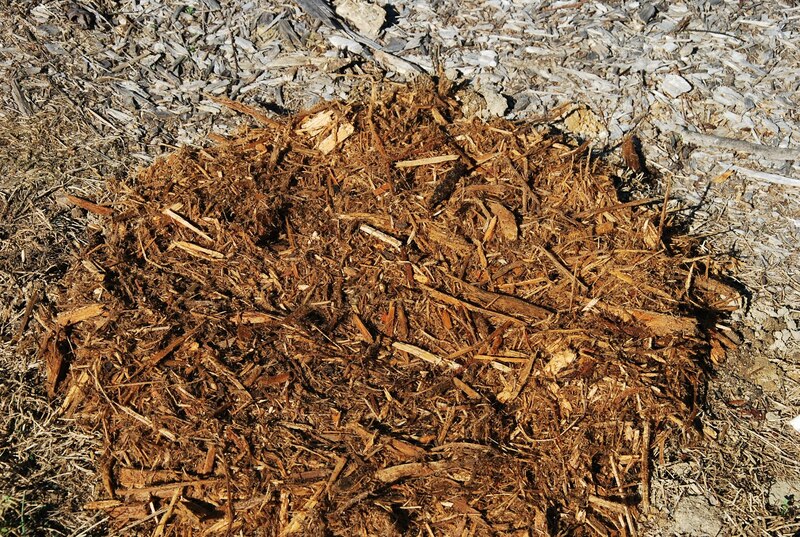 They do however need enough mulch to retain moisture (It does get really hot here!) and prevent weed growth. After the peony has been mulched, I water the newly planted peony root. 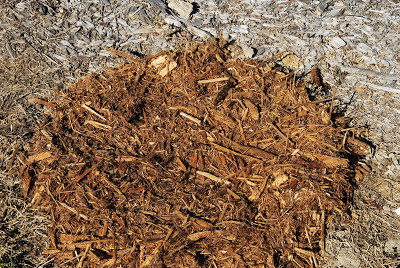 You can water your root before or after you mulch it. I just like to water mine afterwards because it seems like the soils stays in place a little better with the mulch already on top.